Apple to Unveil iPad 2 on March 2nd in San Francisco? 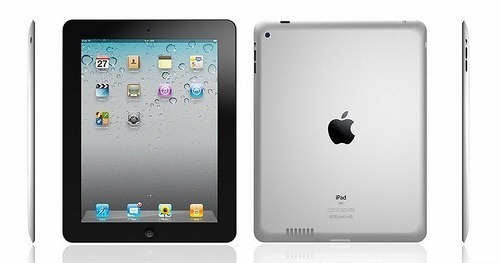 According to an exclusive report by AllThingsD, Apple is all set to unveil iPad 2 to the world as early as next week, on March 2nd, at the famous Yerba Buena Center for the Arts in San Francisco. To those who care intensely about this kind of stuff–which would be pretty much everyone in the tech ecosystem–Apple will hold its much-anticipated event on March 2, where the tech giant seems poised to unveil a new version of its hugely successful iPad, according to multiple sources. According to several sources close to the situation, the Wednesday date in a little more than a week is firm and will take place in San Francisco, the scene of many such Apple events. In that case, the venue is likely to be the Yerba Buena Center for the Arts. AllThingsD is pretty confident about their sources for the Apple event on March 2nd. Apple CEO Steve Jobs, who recently took a medical leave of absence from his company is unlikely to be present at the event. In his absence, either Phil Schiller or Tim Cook will be on stage for the keynote. For more on the next-gen iPad, check out our in-depth rumor roundup on Apple iPad 2. You can follow us on Twitter or join our Facebook fanpage to keep yourself updated on all the latest from Microsoft, Google and Apple.